Young Living Shampoo Review: Did it work? 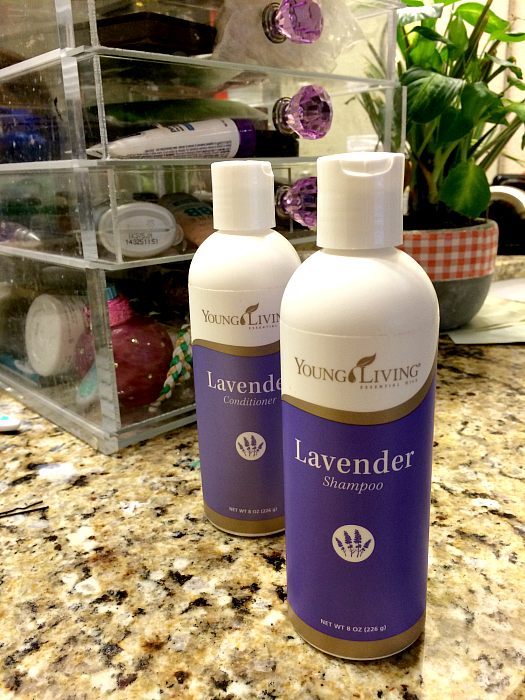 Home » Lifestyle » Young Living Shampoo Review: Did it work? Looking for Young Living Shampoo reviews? If you know me at all there are two things that you probably turn to me for: Hair care and Books. In my world I combine them both by taking a bath while conditioning and reading- if you haven’t tried it, try it. Fabulous hair and a fabulous book makes for a really great bedtime. So when I learned that Young Living carried Shampoo and Conditioner it was the first thing I threw on my ER order. And today, when it arrived, I dropped everything like the nerd I am and ran to the shower full force with both bottles to experience whatever it is that they held. Now I know that Aussie hair kangaroo wants you to think that every time you step into a shower and come out, your hair is damn amazing and you can gauge the effectiveness of a shampoo right then and there. But I am here to tell you that there is nothing I can tell you from my usage that defines if I had any actual changes to my hair chemically or physically. I can only tell you my impressions, how I felt about the smell, texture, how my hair dried, what it felt like- and I can assure you that if in the next 30 days of usage, if any of these opinions alter -good or bad-, I’ll be back to update. I ordered the 8oz Lavender Shampoo and 8oz Lavender conditioner. Young Living does have other shampoos like Lavender Mint (I personally find mint a clarifying method so do not generally purchase mint myself) and the Copaiba Vanilla Moisturizing Shampoo and Conditioner (both of which were out at the time of my ordering) and focuses on damaged hair. I have to be honest that Lavender has never been one of my favorite smells. Neither is Vanilla, so when it comes to picking a shampoo with this brand, I was kinda out in the cold. I bought the Lavender because it was available and the other wasn’t. But let me tell you something I haven’t realized my entire life- I don’t hate Lavender smell. I hate things that SMELL like Lavender. Not the real oil. The one covered in some fake lotions or 99 cent sprays. I really have come to enjoy a drop or two in the tub or a diffuser before bed. So the smell smelled like…well…Lavender. But REAL. It is a strong smell though, not a light weight one. Shampoo smelled the same as in the bottle. The conditioner however, took on a different smell and I didn’t really like it. Both smelled pretty strong in the shower. Shampoo– Suds up really well even with a tiny bit. 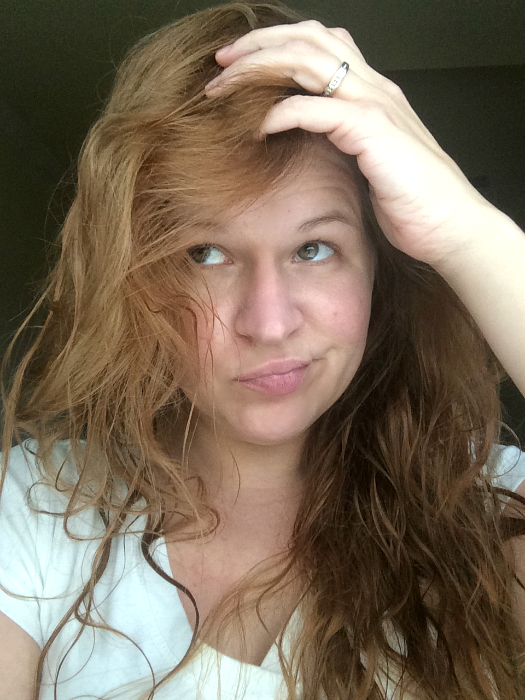 Conditioner: I was pretty skeptical that it would do well because I have thick, long hair. I didn’t use that much because, well, 8oz bottles, but it surprisingly went pretty far. After I rinsed my hair felt clean but not what I am normally used to with big thick conditioners. I am used to a really really smooth and soft almost..silky feeling after some of my products. In this case I could only feel that my hair was clean. For me this is always a test on how something worked. Its the first “Is my hair going to rip out of my head now” test. I used a comb to really throw something at it and boom! It was perfect. Brushed out flawlessly with no knots. Combed right through. So now I am sure the conditioner was plenty. Blow drying was easy peasy. I put in NO extra oils, serums, sprays, just straight blow dry. I got no extra knots at all as a result. Finger dried and took about 15 minutes, which honestly is pretty quick for my hair. I think because it had nothing “extra” in it, it just dried right to the root. And here we go…first view. My actual review is this- it ended up being super lightweight and very soft. Although the shampoo was clear, something I am not used to in most products, it was not a clarifier, meaning it didn’t strip anything natural out of it. I can tell you that it simply cleaned and conditioned it. There is nothing weighing it down and its really soft to the touch. I think that is probably apparent in the picture. That being said I am SO used to using Moroccan oil on my hair to smooth all the little breakages I have from a lifetime of hair dye, so I did put that in after. It makes me feel normal and I like the smell. Speaking of smell, while the Shampoo and Conditioner had a strong smell IN the shower, once my hair was dry it did not. Btw, my hair looks more red in these shots because its near the front door where we have more light. I also threw on some lipstick because I love you guys. Overall- I’d say give it a shot and you let ME know how it does with your hair. Its a straight B for me right now and I would say a great size for travel (in your bag, not your carry on). I am also most interested in seeing how it pans out long term. The truth is so many beauty products, the products we put directly on our hair, our face, our kids, our pets- they all have a LOT of chemicals in them. I personally pay out the nose for top products so finding similar results that have better ingredients have become more and more important to me as I get older. Sometimes when I am rinsing my hair I am like…yum…cancer. You can purchase this set by opening a wholesale account with Young Living, which allows you to get ALL their great products at discount prices – 24% off retail. And nope, you do not have to sell. Its simply a membership that allows you to get great deals with products that you are going to want to discover. Last but not least- like many I sell Young Living products. If you are looking for organic and natural products like this or on your journey understanding how essential oils and the products developed around them can help you in your life, Id love to be your guide. You are welcome to questions in the comments, reach out to me on my contact form, check out my dedicated Essential Oils website or simply head to YL and join up and I will email you to product chat and make sure you are properly mentored on finding the right products for the needs in your life. Now on the list- the YL Chapstick and Massage oil. Look for those reviews coming soon! My wife is costantly trying new shampoos because she can’t find one she likes. I will have to tell her about this one. I actually have extremely thin hair so I’d be interested in seeing how this shampoo would be with me. I have a lot of trouble with certain ones drying out my hair. I hope this one doesn’t do that to me because I am a definitely a fan of the lavender scent. I’ve never tried their products for hair before, but it sounds like something worth looking into. Your hair looks lovely! Your hair is absolutely gorgeous. 15 minutes drying time with no knots, I need this! You know, I’ve been eyeing up the YLO hair products forever now. My hair is so problematic. Dries out easily and knots like nothing else. I wonder if these would work for me! This sounds terrific, I think this will be great for my hair. I would love to try this out so head on out to check em. I do the same thing. I take a hot bath, read and condition my hair. Not only does our hair get conditioned but we get out all that stress relaxing in the tub. This sounds great! I have super thick hair, and it’s always a pain to brush out. Young Living sounds like it smells great and makes your hair easy to work with. I love it! Young Living sounds like a great product line. I have a terrible time finding good shampoos and conditioners, so I’ll give this a try. I have VERY thick, long hair too and just like you think that if conditioner does not make my hair feel really really soft when it is wet right out of the shower, I fear that the comb will rip out my hair! Glad to hear that was not the case for you. Might have to try this out. My wife also has ridiculously thick hair! She is constantly complaining about it. What a perfect gift idea!